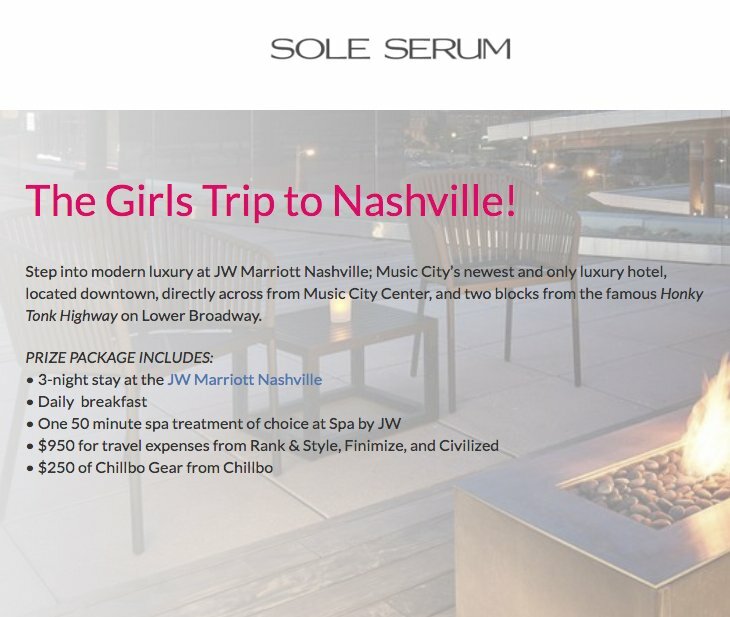 The Girls Trip to Nashville! Win a 3 night stay with breakfast! Comes with a 50 minute spa treatment of choice at Spa by JW - $950.00 for travel expenses from Rank & Style, Finimize, and Civilized - $250.00 in Chillbo Gear from Chillbo.